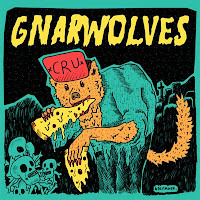 Clocking in at just over 12 minutes, the 6 tracks on “CRU”, the second EP from British pop-punk upstarts Gnarwolves, can hardly be accused of dragging their feet. Opening track ‘History is Bunk’ resumes where last EP “Fun Club” left off - all breakneck rhythms and the cheeriest of guitar leads before the vocals announce the arrival of the bands’ particular take on the genre. Always more Title Fight than New Found Glory, it’s refreshing to hear Gnarwolves embracing their accents and refusing to attempt the nasal delivery tried and failed by many of their Anglo peers. The songs are better for it, packing far more of a punch, and along with ‘A Gram is Better Than a Damn’ and ‘Oh, Brave New World!’, the opening track demonstrates that Gnarwolves are beginning to get the knack for this pop-punk thing, embedding memorable melodies into blink-and-you’ll-miss-‘em gems that will no doubt be the sound of many a party this summer. It is, however, on tracks such as ‘Community, Stability, Identity’ and closer/highlight ‘Coffee’ where the band really impress. 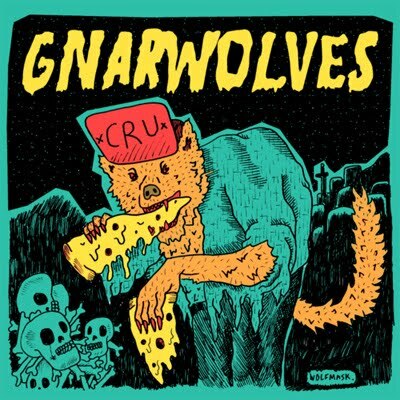 With the pace slowed (if only slightly), Gnarwolves prove that they are capable of more than riding a persuasive wave of hustle and bustle, and that certainly cuts through. Sure, this is a great EP to throw on whilst slamming back beers with your mates, but content-wise this is not the only aim of “CRU”. Lyrics such as the final refrain of “I’ll sleep when I’m old/coffee and cold” and the opening gambit of “it’s always colder here in February/once we’re acquainted with the autumn leaves” display the wider focus of the band, and are afforded far more resonance through allowing the vocals time to deliver their message. Such Basement-esque versatility is only really hinted at here, but is something I would like to see explored more by a band who remain one of the best and most exciting on the UK pop-punk scene at the moment. "CRU" EP is out now through Tangled Talk and Day By Day.